The Blue Bioeconomy Forum (BBF) team attended the Blue Invest 2018 event in Brussels on 17 May to meet blue bioeconomy innovators, take stock of their needs and inform them about the role of the Forum. Blue Invest 2018 was the first-ever EU-wide matchmaking event organised by the European Commission. It brought together innovators and the financial community to boost the economic potential of the oceans while protecting marine resources. 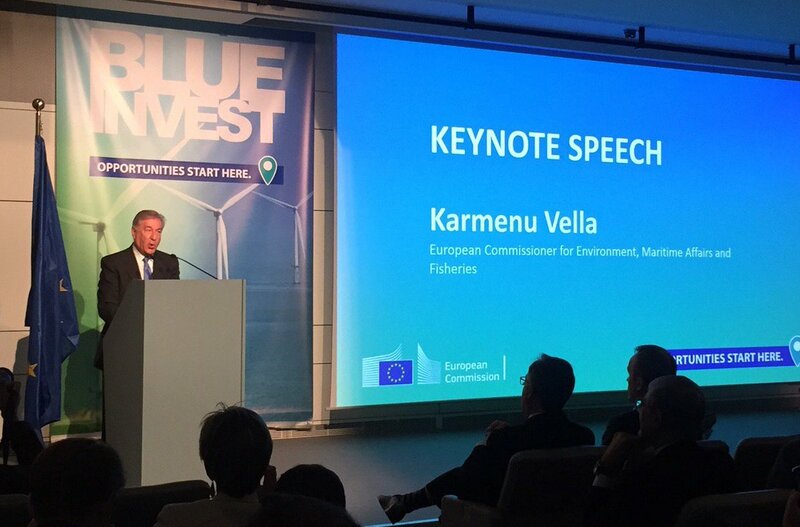 The event attracted hundreds of attendees, illustrating the sector’s funding needs and the EU’s key role in fostering access to capital and steering the development of the blue economy. The BBF team met stakeholders of all sorts, including SMEs, research institutes, investors, policymakers and civil society. When asked how the Blue Bioeconomy Forum could best support them, our interlocutors confirmed the need for a place to exchange and connect with potential partners, investors and researchers. Several participants expressed an interest in the Forum’s objective of developing a roadmap that will identify the sector’s future regulatory, research, funding and product needs. The roadmap process was seen as an opportunity to raise concerns and share advice in order to strengthen the European blue bioeconomy market. The event was a good occasion to communicate with private stakeholders who are already commercialising products, and to understand what they need to scale up their businesses. Their contributions will help us develop our blue bioeconomy project portfolio. The Blue Bioeconomy Forum team looks forward to attending future events. Stay tuned and let us know of any event you think we should attend and announce on our website.